9. Nike Zoom Hyperdunk 2011 "Carrier Classic"
To kick off the 2011 college season, MSU and UNC played one of the most historical games paying tribute to our veterans and they did it on a boat — word to Lonely Island. 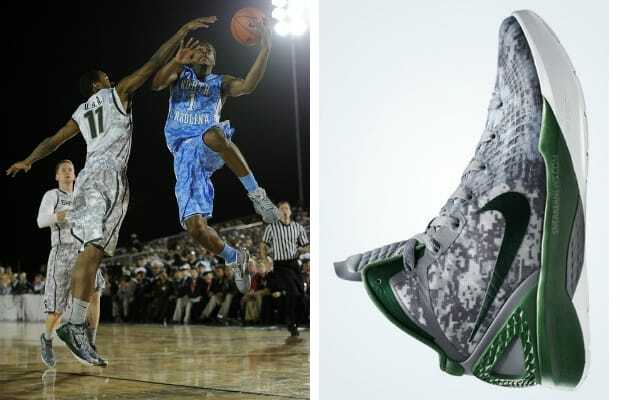 Nike laced both squads up with unique camo uniforms and matching player-edition kicks including these high-tech Hyperdunk 2011s.